The fun filled Sequence Letters Game includes all the fun of Sequence with a fun new way to learn the Alphabet and the sounds each letter makes. 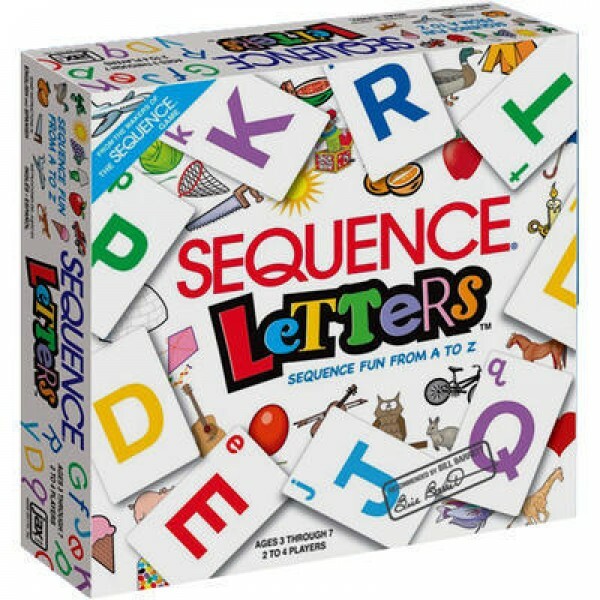 Players sound out the letter on their card, match it to the beginning sound of the picture on the game board. Each card features a letter of the alphabet in upper and lower case. When you have 5 of your chips in a row, you've got a sequence! 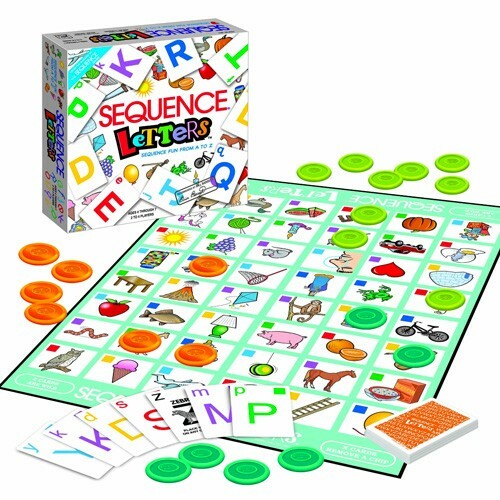 This game for 2 to 4 players includes a game board, alphabet cards, and colored chips.